Colored Contact Lenses are Expensive than Regular. Why? Why are Colored Contact Lenses more Expensive? Are your Colored Contacts Vegan Friendly & Cruelty Free? How often should I replace Contact Lens Cases? There is a fair difference between the costs of the two. Regular contacts require less resources whereas colored contact lenses need proper research on printing & dying methods, integration of prescriptions for complex vision imperfections & coordination of the several various components with each other. Colored contact lenses may cost you 75% more than the regular non-tinted contact lenses. Why Wear Colored Contact Lenses? The higher prices of colored contact lenses are justified. Regular contact lenses only correct vision & provides no more benefits. Colored circle lenses on the other hand change you appearance for good whilst improving your refractive index error. Colored contacts are available in several colors & designs which make them even more appealing. It involves greater research in terms of color study & manufacturing process to make sure that the resultant product does not clash in design with human eyes. Bio engineers also stay engaged producing designs that stay unique & interesting without obstructing vision. Colored lenses today are made from advanced hydrogel material that is a water loving plastic. It allows enough oxygen permeability & vows to keep your eyes moist throughout the day. Furthermore, the modern versions of colored contacts are equipped with UV interception properties that contribute to the increase in prices. Regular contact lenses stay transparent in your eyes whereas colored lenses are both functional and aesthetic. Please note that contact lenses vary in prices among each other. Toric contact lenses will cost you twice of the conventional colored lenses. 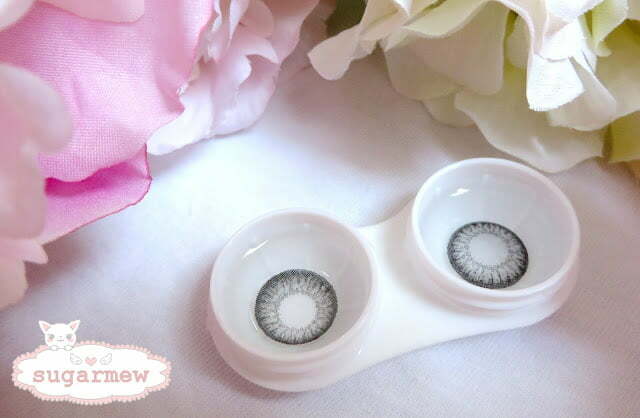 From Where to Buy Colored Contact Lenses at Pocket Friendly Rates? Colored lenses are easily available online and so far is the most reliable medium. Since it is illegal to sell nonprescription contact lenses in some countries; purchasing online always remain hassle free; provided you have faith on the supplier you are going to buy from. Online sellers provide colored contacts at comparatively lower prices than optometrists due to the tough international competition. Before making a decision always check what privileges you will be provided by your vendor. It must have clear & fair return, refund & exchange policy & friendly payment methods. Buy your colored contact lenses from Uniqso with free international shipping for every order worth $60 & above!